Fonthill Media Books is located in the UK. This book was first published in 2013 and now again this year. It is a soft cover book of 336 pages in 6 3/4" x 9 3/4 page format. It contains 225 black and white photos and 57 color ones. 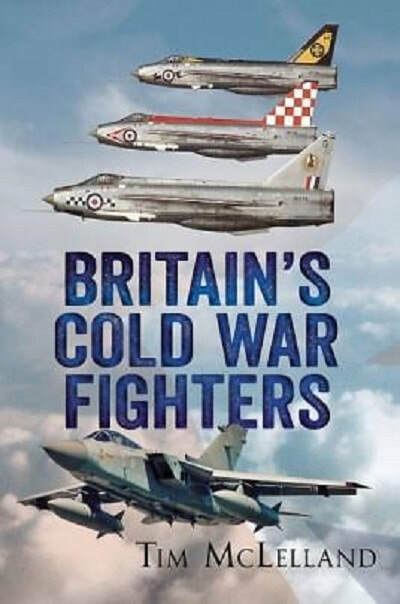 The cover art shows a color photo of a group of 3 English Electric (BAC) Lightning fighters, above a color photo of a Tornado F3 fighter. The back cover shows a color photo of a flight of 4 Tornado fighters. The Typhoon FGR Mk. 4, the Whitley F.28/39 (Britians first jet fighter prototype - 3 built), The Meteor, Vampire, Venom, Sea Venom, Hawker P-1040, Sea Hawk, Regular Hawk, Supermarine type 508, Supermarine Scimitar, Supermarine Spiteful, Type 398 prototype. Supermarine types 51 & 541, Swift, F-86 Sabre Jet, Hawker P.1052, Hunter, Javelin prototype and in service types, De Havilland DH. 110 prototype and service types, Vixen, Sea Vixen, Short SB.5. Lightning and their instrument panel, Hawker P.1154, Phantim FGR Mk. 2, Sea Harrier, Tornado prototype and in service types, Lightning BF-2 and F-35. The Whitley f.28/39, muliple shots of the Meteor, the Vampire, Sea Venom, Sea Hawk, Scimitar, Hunter, multiple shots of the Sea Vixen, multiple shots of the Lightning, multiple shots of the Phantom, multiple shots of the Sea Harrier, multiple shots of the Tornado, a shot of a restored Supermarine Spitfire, a Typhoon. This is a great picture album. It will be of great interest to both modelers and aircraft enthusiasts. I want to thank the folks at Casemate Publishing, the North American distributor of Fonthill Media Books for this review sample and also Fonthill Media Books.